This is a remote case that replaces your broken, damaged, or worn out original diamond shaped key. It has room to accomodate your original remote chip inside. This is a shell / case with key blade only. No electronics inside. 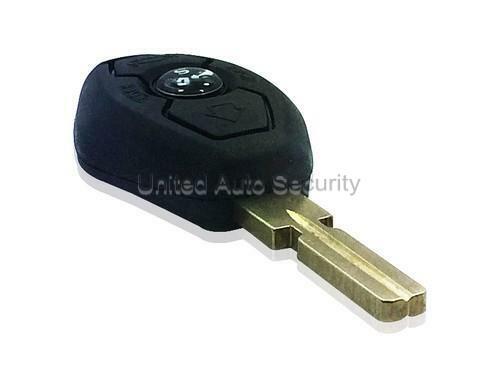 ***The key blank will need to be cut at an automotive locksmith to match your BMW key. We do offer key cutting and Transponder / EWS programming if needed. This is an aftermarket replacement key for BMW vehicles. United Auto Security is not affeliated with BMW.